Today, a live stream event was held to announce the official lineup of this year’s Evolution, or Evo 2019. This lineup is a short list of the most popular and important fighting games of the modern era, but it isn’t without a few big surprises. Chief among those surprises, depending on who you’re talking to, is the reveal of a release window for SNK’s upcoming reintroduction of Samurai Shodown. The lineup comprises nine titles, most of which are new to the Evo lineup. The returning games are Street Fighter V, Tekken 7, Dragon Ball FighterZ, and BlazBlue: Cross Tag Battle. The new games are Under Night In-Birth, Super Smash Bros. Ultimate, Soulcalibur VI, Mortal Kombat 11, and Samurai Shodown. During the stream, it was revealed that Samurai Shodown will be released in Summer 2019, likely dropping just before Evo (which takes place in early August). A similar situation happened last year with BlazBlue: Cross Tag Battle, with the game only launching just before the tournament. Notable absences this year are Guilty Gear Xrd, Injustice 2, and especially Super Smash Bros. Melee, which has been going strong for several years despite its age. The inclusion of Under Night In-Birth is a bit of a surprise as well, due to that title’s relative obscurity, and inclusion as part of the BlazBlue: Cross Tag Battle crossover action. This lineup should be especially exciting for SNK fans, as not only does this mean Samurai Shodown will be arriving in time for sure, but it’s also representation that simply wasn’t present last year on the main stage. This is also good news for Dragon Ball FighterZ fans, as that game’s status was recently somewhat of a mystery. 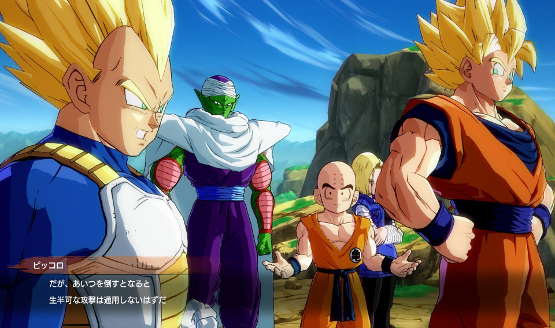 That said, despite record numbers last year, Dragon Ball FighterZ won’t be part of the main event selection on Evo 2019’s Sunday night.